Community Supported Agriculture (CSA) is a relationship of mutual support and commitment between local farmers and community members who pay the farmer an annual membership fee to cover the production costs of the farm. In turn, members receive a weekly share of the harvest during the local growing season. The arrangement guarantees the farmer financial support and enables many small- to moderate-scale organic family farms to remain in business. 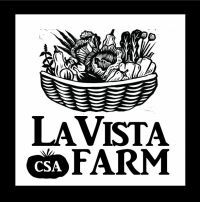 Ultimately, CSA creates "agriculture-supported communities" where members receive a wide variety of foods harvested at their peak of ripeness, flavor and vitamin and mineral content. As Wendell Berry identifies, "how we eat determines to a considerable extent how the world is used." With this in mind, it is important to remember that the goals of CSA support a sustainable agriculture system which . . .
makes nutritious, affordable, wholesome foods accessible and widely available to community members. There are many kinds of CSA. All include payment in advance at an agreed upon price. 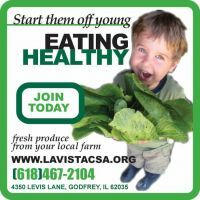 In some, members of the community purchase a "share" of the anticipated harvest, while in others they sign up for a predetermined amount of produce over the course of the season. In most cases, this commitment implies a willingness to share with the farmer both the bounty from the land and at least some of the risks involved with production. In return for fair and guaranteed compensation, consumers receive a variety of freshly picked, (usually organic) vegetables grown and distributed in an economically viable and ecologically responsible manner. Some farms also offer fruit, herbs, flowers and other products. In this way, farmers and members become partners in the production, distribution and consumption of locally grown food. One fact also to consider, organic food produced with local communities is not the same as organic food transported over long distances. When members obtain food from local farmers, environmental costs associated with the transport, processing and distribution of organic food and the consumption of fossil fuels are significantly reduced. Considering that the organic food available to members was produced locally rather than transported over long distances, the cost to the environment is significantly less.